Irene Brandes, DDS, PC (New York) - Book Appointment Online! 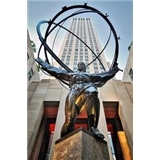 New York City, NY Implant Dentist - Irene Brandes, DDS Rockefeller Center Dentistry www.BrandesDDS.com When you visit our New York Cosmetic & Implant Dentistry, located at Rockefeller Center International Building your smile is our top priority. Dr. Irene Brandes and her entire team is dedicated to providing you with the personalized, gentle care that you deserve.